UMKC School of Medicine is preparing for its 2018 re-accreditation from the Liaison Committee on Medical Education (LCME) – the agency officially recognized by the U.S. Department of Education to accredit medical schools in the United States and Canada. 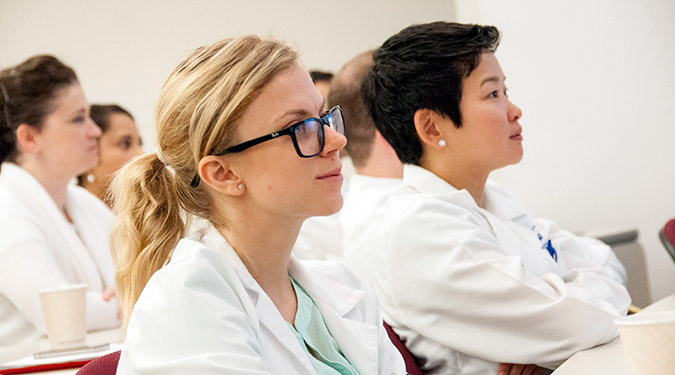 Many faculty, staff and students are part of this extensive process, which is designed to attest to the educational quality of new and established medical educational programs. These web pages contain more Information on UMKC’s LCME accreditation process. Has the program clearly established its mission and institutional learning objectives? Are the program’s curriculum and resources organized to meet its mission and objectives? What is the evidence that the program is currently achieving its mission and objectives and is likely to continue to meet them in the future?